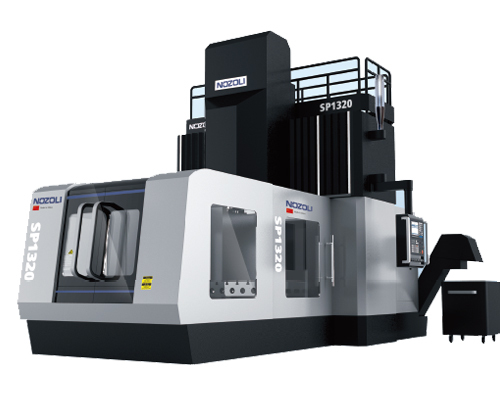 SVM-1 VMC Workstation is a professional PC control based Mini Vertical Milling CNC. It’s smaller than SVM-2 but all made as standard industrial level VMC. It’s equipped with standard industrial AC SERVO driving BT30 spindle, full linear ways and full AC SERVO 3 axis motion system that normally only be seen on big industrial CNC machines. SVM-1VMC Workstation comes with Linuxcnc + MESA 7i76e CNC controller installed on a 14″ touch panel tablet industrial computer. Linuxcnc&MESA system is professional and powerful under closed-loop control to support SERVO, ATC, 4/5 axis and rigid tapping etc. 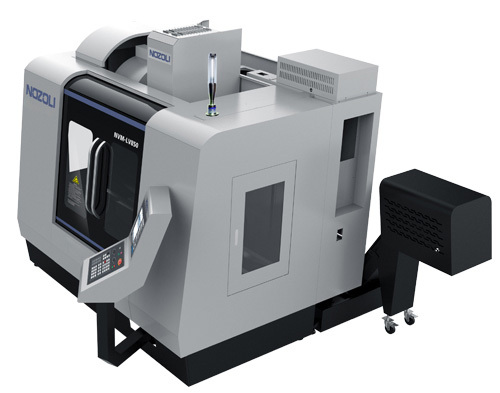 high-class functions that can compete most industrial CNC controllers. 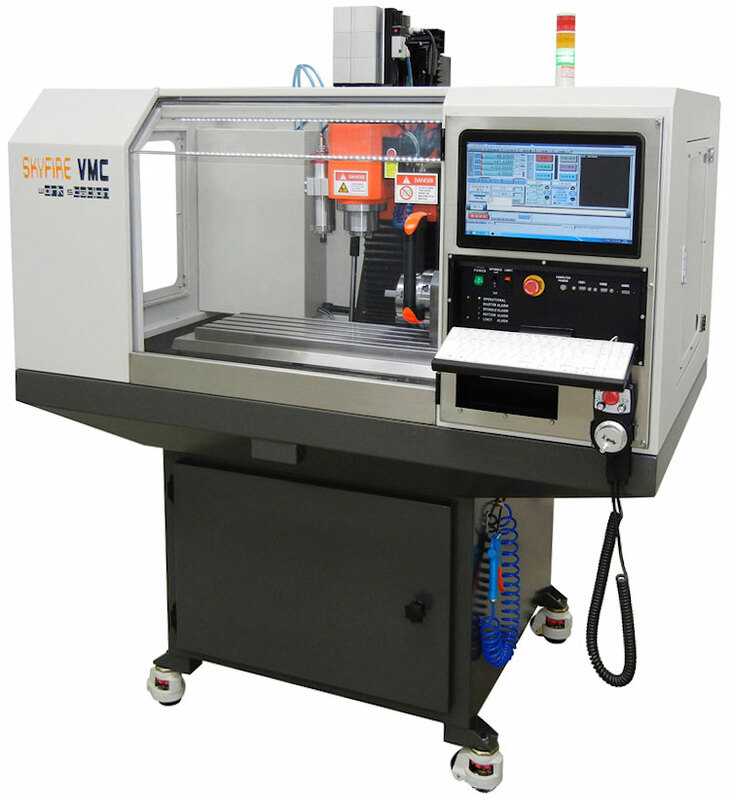 The SVM-1 VMC Workstation can handle all materials from Plastic, Aluminium, Brass, Steel, Stainless Steel to Titanium etc. 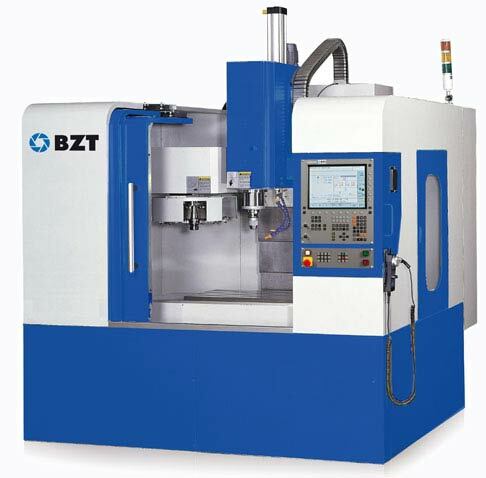 It’s a real industrial level CNC machine to do precision machining works. Typical machining tolerance is <0.02mm. 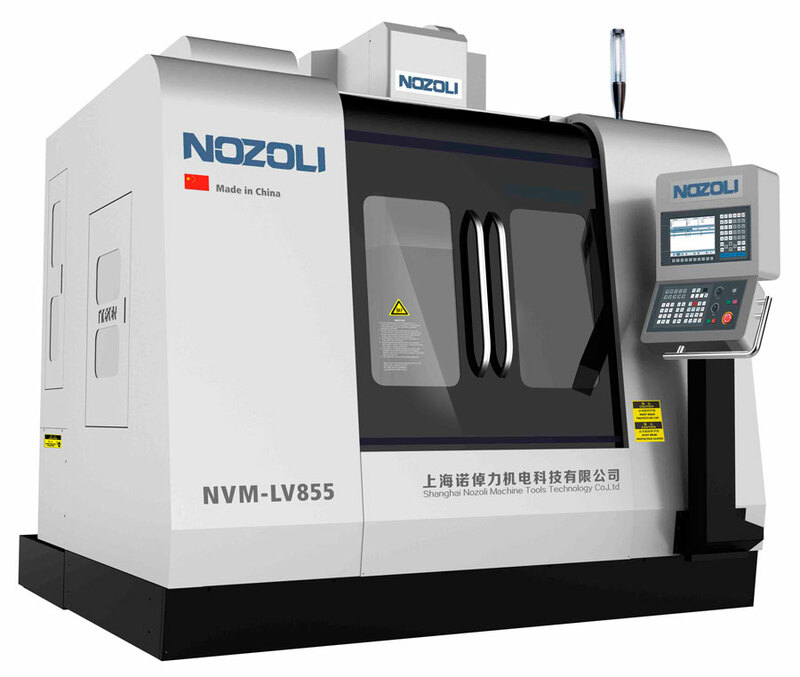 The VMC CNC workstation is excellent for personal machinists, metal workshops, R&D departments, educations and batch product factories. 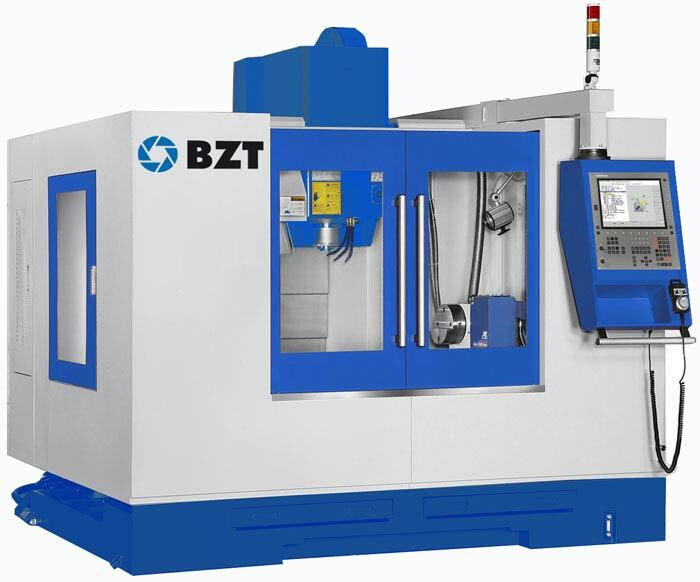 The VMC CNC machining centre of the series from BZT can offer you high speed for the processing of work pieces and precision parts for your serial production. 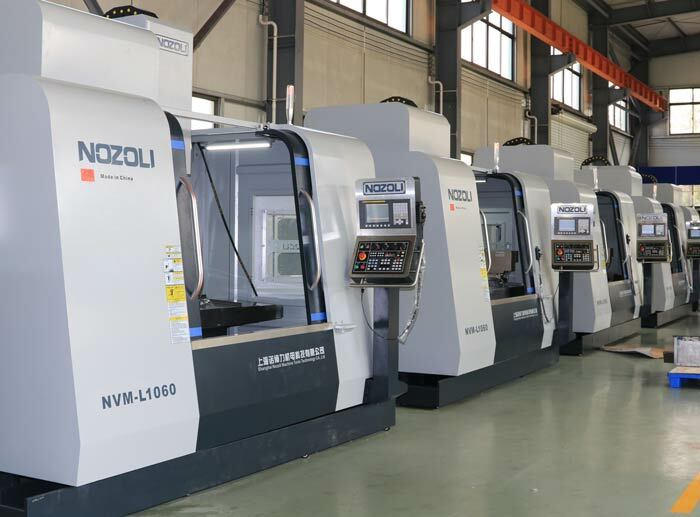 The drastic reduction of the processing times achieved by the use of the VMC machines allows a competitive and economic production. VMS stands for high productivity on small space, perfect for small up to medium-sized serial productions. We can custom build your VMC machine according to your required frame size and design options. 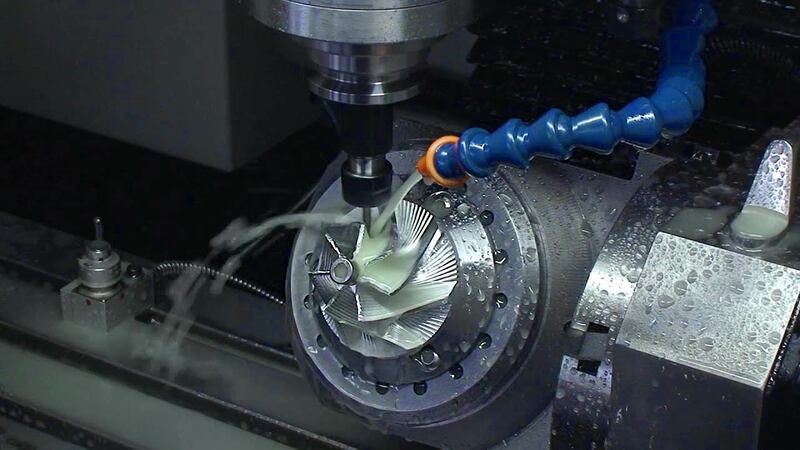 To maintain a leading edge in motion control technology, all ball screws are driven by advanced servo systems with closed-loop adaptive tuning and high-resolution feedback to obtain the utmost in system performance and reliability. The box type cross slide surface is precisely hand scraped to ensure best assembling accuracy, rigidity and balanced load. Imported linear rails guidance system guarantees the precision & durability of the machine under heavy load. 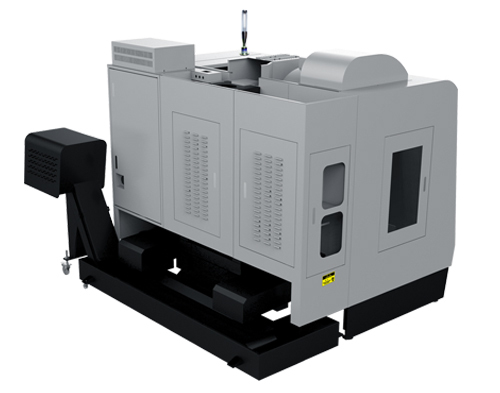 The large opening on the front of our vertical machining centers gives you more room to load and unload and facilitates easy overhead crane access to load large, heavy parts or fixtures. Rigid work table is capable of machining heavy parts. Complete wash-down system and chip conveyor consisting of a coolant ring which has adjustable nozzles and a dedicated pump system to save time and eliminate costly cleanup. All the machining centre components are analyzed using Finite Element Analysis technology (FEA). The bed and column are designed for optimum rigidity and strength. One-piece bed casting: thick-walled, fine-grain cast iron is used for all the major structural assemblies (base, head stock, and cross slide). The rigid one-piece machine base casting is designed to yield excellent static and dynamic performance in addition to outstanding dampening properties that inhibit thermal deformation and twisting. 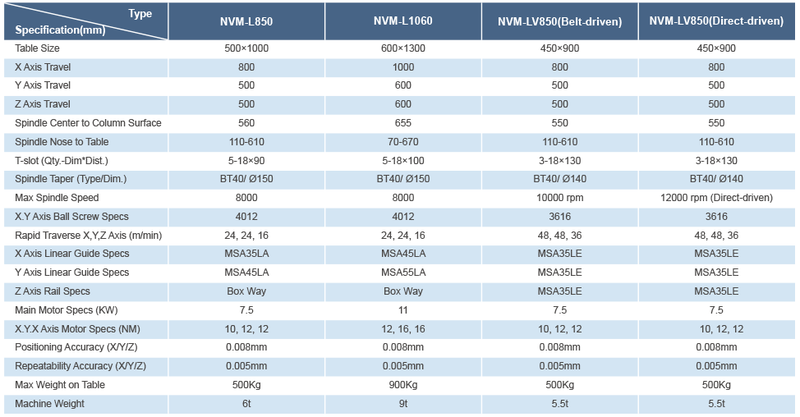 Table width extends across the entire machines Y-axis to support a wide range of part sizes. Vertical disc type magazine: space between the tool magazine and the worktable efficiently increasing machining space. Linear rails guidance system from Germany guarantees the precision and durability of the machine under heavy load. High rigidity roller type linear guide ways on the X, Y axes offer heavy-duty cutting, fast movement and low abrasion capabilities. Uses advanced servo motors ensuring heavy-duty cutting, which enables a 33% increase on energy utilization. The Finite Element Method (FEM) analysis provides optimal machine design with a light weight structure whilst maintaining high machine rigidity. Rib reinforced working table restrains vibration while increasing machining stability. All contact surfaces are specially designed to ensure maximum precision and rigidity.